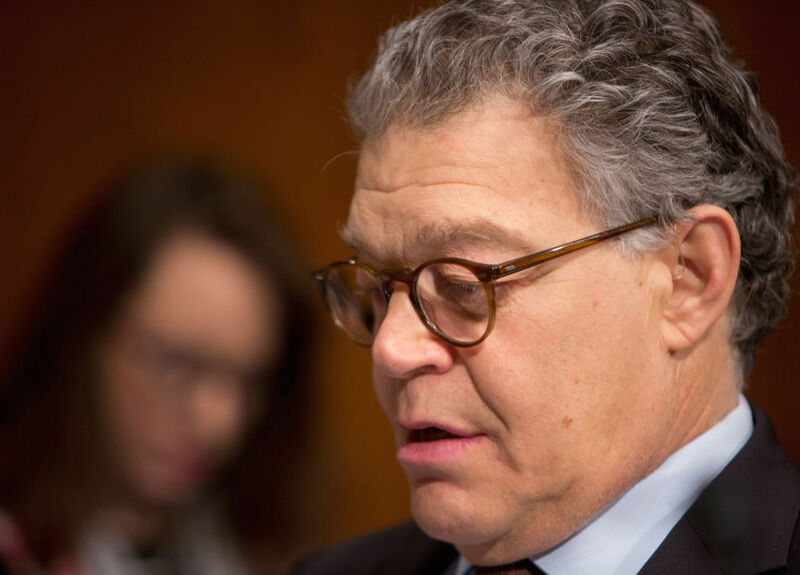 When the first accusation against Senator Al Franken came out, you may have hoped that it was an isolated incident. But as yet another woman has accused Franken of groping her, it’s clear that’s not the case. Army veteran Stephanie Kemplin told CNN that the Minnesota senator cupped her breast during a photo op in 2003. With this new allegation, a total of five women have accused the senator and comedian of sexual misconduct. While stationed in Kuwait during the Iraq War, Kemplin said she was excited for the opportunity to meet Franken, who was participating in a USO tour at the time. Kemplin was a fan of Saturday Night Live, so the 27-year-old military police officer got in line to take a photo with Franken. "When he put his arm around me, he groped my right breast. He kept his hand all the way over on my breast," Kemplin told CNN. "I've never had a man put their arm around me and then cup my breast. So he was holding my breast on the side." "And I remember thinking – is he going to move his hand?" Kemplin said that he groped her for about five to ten seconds. “It was long enough that he should have known if it was an accident. I’m very confident saying that,” she said. Kemplin’s story sounds very similar to the accounts of the other four women who have come forward with allegations against Franken. The first woman to accuse Franken was radio host Leeann Tweeden on November 16th. She said Franken groped and kissed her without her consent while they were on a December 2006 USO tour together in Iraq. There is even photographic proof of Franken touching Tweeden while she sleeps. CNN reported that Kemplin reached out to Tweeden two days after the radio host went public with her story. Less than a week after Tweeden came forward, Lindsay Menz told CNN that Franken grabbed her buttocks when she took a photo with him at the Minnesota State Fair in 2010. Franken was already the Minnesota senator at the time. On the condition of anonymity, two more women who do not know each other told Huffington Post that they also experienced Franken touching their buttocks. "As Sen. Franken made clear this week, he takes thousands of photos and has met tens of thousands of people and he has never intentionally engaged in this kind of conduct. He remains fully committed to cooperating with the ethics investigation." While Franken has denied any ill intent, the accusations continue to stack up against the senator. And as proven by the fact that Kemplin felt safe to come forward after Tweeden spoke out, there is strength and solidarity to be found when you raise your voice.